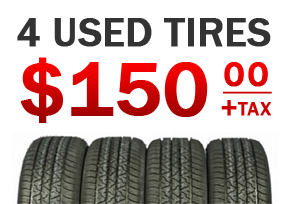 We have several locations with New & Used Tires in Orlando. 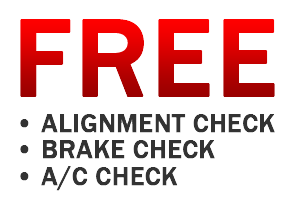 Our technicians specialize in Alignments, Brakes, Suspension, Custom Fabrication and more. We've been providing quality used tires to orlando area for more than 5 yrs now. All our tires are inspected for leaks and defects before you leave the property. No Appointment neccessary, we provide fast service as soon as you pull into the parking lot. Our 3 locations carry all sizes of tires ready to install. We guarantee to give you the best price and quality product you can find. Don't throw out those wheels! We can repair it! Wheels are damaged on a daily basis from several potholes, curbs, low profile tires and other road obstructions. We've managed to repair 90% of the wheels that customers provide us. There's not a high price to pay when it comes to refinishing those precious wheels, just takes a little TLC. 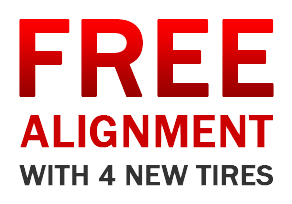 Stop by today to have your damaged wheel & tire inspected for a free estimate on repairing it. We guarantee all repairs to your wheel or your money back. Get a free tire when your rent your Uhaul with us! That's right, get a free used tire when you rent your uhaul through us. You can even refer a friend for that used tire, just mention this ad. **Installation charges not included with this offer. Low profiles are additional charge.